How do you tell the story of a family? I mean, really tell it. How do you contain and explain all the memories, moments, and magic that comes with a group of people who are connected in such an intricate way? You can try to write down all you remember, you can do your best to pass on the stories, but does that really capture it? That’s a difficult question with a challenging answer. But there’s one thing I do know- photos definitely help fill in the gaps to the story. Which is especially true when it comes to a family with as strong of a legacy as the Van Hofwegens have. 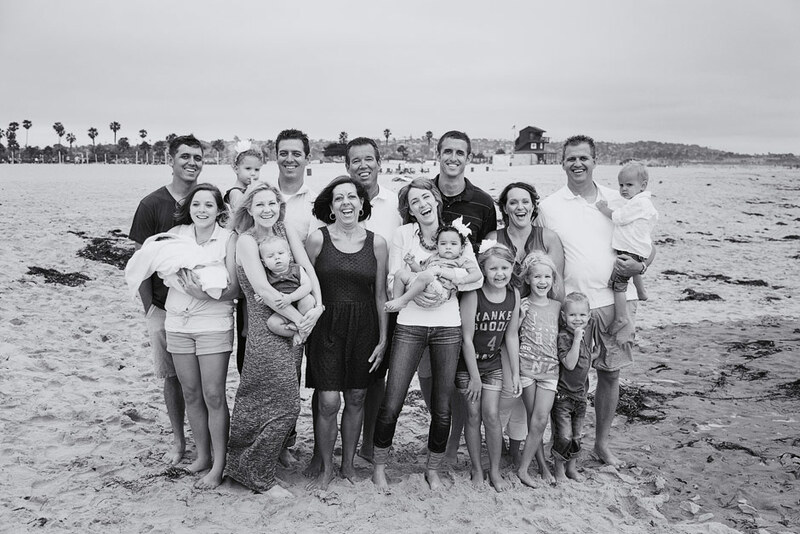 Theirs is a family consisting of two parents and their four boys who began visiting Mission Beach in San Diego each summer when the kids were younger. They continue that tradition to this day with the addition of the boys’ own new family members whom they have brought into the picture (both figuratively and literally!). So they decided they needed some photos to help tell the story of their family and their many shared memories on Mission Beach. So Scottie and I took on the difficult task of spending a couple of hours with them in an attempt to tell the story of a couple of decades! 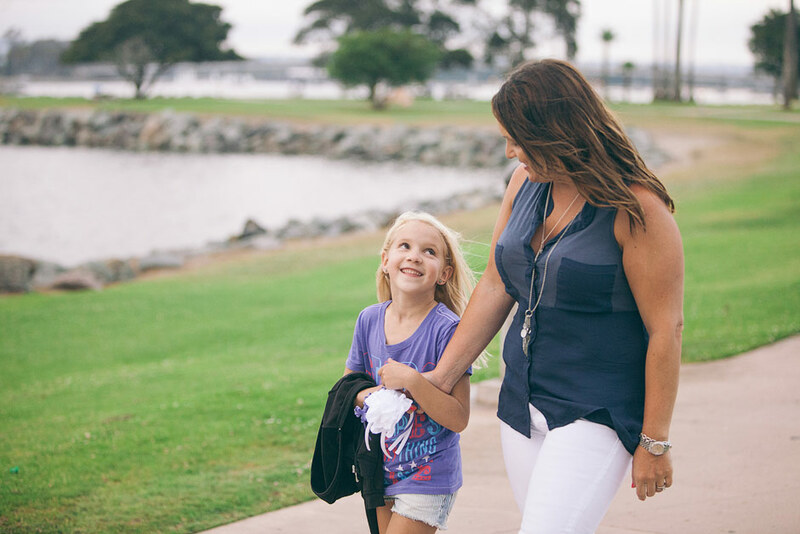 After spending even a tiny bit of time with them, there are a few things we saw that seem to be consistent parts in this family’s story from year to year. For one, I’m guessing that every year there are some epic cousin playtimes that happen. I think you could also say that there will be some inevitable cuddly moments. Of course, there are plenty of memories made when the grown ups get in on the action as well! It’s these small pieces, combined with what happens when 18 people share a house, that leads to some intense, joyful, momentous, and wonderful moments that build on each other over the years. If you had talked to Scottie and myself before the shoot, you would have found that we were a little nervous about not only capturing such an incredible family legacy, but also about working with that many people at once… including 8 kids who are under the age of 8! However, it wasn’t long before we fully forgot our fears and enjoyed our playtime! I can’t even begin to tell you how fun it was to run around the playground and do whatever we could to push the kids to have as much fun as was humanly possible! (The photo above is a picture of “as much fun as is humanly possible”). Having so much fun with kids that their smiles turn to belly laughs, is what I’d call a good day at the office! So thanks to the Van Hofwegen family for trusting us with such an important job as capturing your family memories and telling your story. I hope you had as much fun doing it as we did! 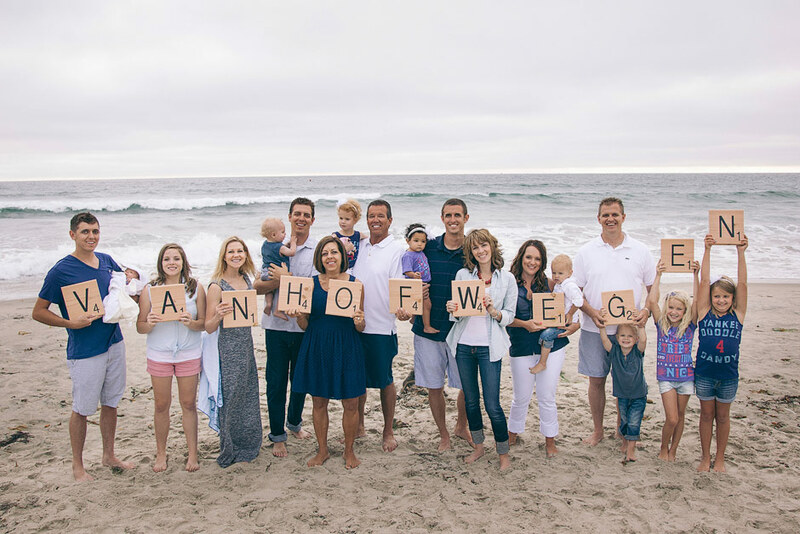 Click to see more of the Van Hofwegen family legacy photo session. When we (Scott and Breanna) first met Lisa and Ted as they were planning their California wedding, we couldn’t believe that we met them in California, yet we were all from Arizona! “That’s perfect!” we cried, “we can do your engagement session when we head back to Arizona to shoot our next wedding there!”. (You can probably tell from the BEACH photos that an Arizona engagement session wasn’t actually what happened!). When a very sick Lisa called to cancel on the day we were supposed to do their AZ shoot, I think we were all a little bummed that our coincidence didn’t prove to be as perfect as we’d thought. But sometimes things that seem like a bummer at first, can end up being good, right? At least, that’s how it went with Ted and Lisa’s engagement session! We were disappointed we had to cancel our AZ shoot, but it turned out to be an awesome thing in the end, as Lisa and Ted tossed out their dreams for a desert engagement session in the hopes of capturing a beach one instead! So they headed back out to Southern California to see us and get the photos they’d been so excited about! And it just so happened that the new session date we chose had one of the most gorgeous sunsets EVER!!!! That’s why I say I’m glad that our original session plans didn’t work out… not only did Lisa and Ted get a trip out of it, but we also got some of the most incredible sunset photos possible! Thanks Lisa and Ted for being so flexible as we tried to make this session happen! I think it was worth your trip and I hope you agree! See you on the big day! 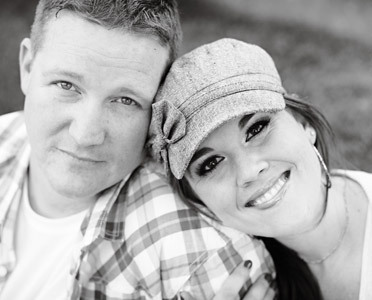 Click to see the rest of Lisa and Ted’s Vacation Engagement Session photos. And like our Facebook page to be one of the first to see their wedding photos when they go up! Cherish and Matt are idea people. They seem to have one grandiose vision after the next and planning their engagement session was no exception! I mean, who else can say that their engagement session involved skateboards, ukuleles, trains, and a fountain laser light show?! But Cherish and Matt decided to go big or go home, so we got it all! We started out by taking a trip to Union Station, which is definitely an amazing place to be for photos! You can’t get much more romantic than Union Station! Whether it’s running after your love at the last second, or looking at a mysteriously attractive stranger from across the way, whatever the romantic moment may be, you can bet you’ve seen it in a movie! (P.S. I didn’t see either of those things happen while we were there). What I did see, were two good looking people who decided to bust out their guitar and ukulele to play for tips! Oh wait, that was Cherish and Matt! No, they didn’t get any big tippers, just the memories…. and maybe herpes from that wall they were leaning against… but that’s besides the point. After Union Station (and before we all went to a midnight dinner at a 100 year old speakeasy), we headed over for fountain play time! OK, maybe I exaggerated when I said there were fountain laser light shows, but they DID change colors, AND you could walk through them… so yeah, they were still pretty awesome! So Cherish and Matt, you did it. Your grand engagement session ideas, came to fruition and paid off big time! The only downside is that now you’ve set a pretty high bar for my expectations about your wedding day! But don’t worry, I know you won’t disappoint! Check out the rest of Cherish and Matt’s downtown LA engagement session here. Like our Facebook page to be the first to see when their wedding pictures go up!